Nothing says good morning quite like a delicious, aromatic cup of coffee, and there is no better way to enhance the flavor of coffee than with Coffee Rich®. Coffee Rich meets an assortment of dietary needs. It is free of cholesterol, lactose, and gluten. All three varieties are certified Kosher Pareve and low in sodium. Available in 16 oz. and 32 oz. Looking for an alternative to milk or cream? Coffee Rich is a perfect solution and can be included in many recipes and meals that call for cream or milk. It can be incorporated into soups, stews, casseroles, desserts, gravies and more. Coffee Rich is easy to prepare and convenient to store. Keep frozen until ready to use, thaw, pour and enjoy! To find a store with Coffee Rich near you, visit our product locator. Q: How long does Coffee Rich stay fresh? A: Coffee Rich will stay fresh for up to 21 days in the refrigerator and for up to one year frozen. Q: What are the ingredients and nutritional information for Coffee Rich? Q: Does Coffee Rich include Potassium or Phosphorus in any of the varieties? A: Yes, both Potassium and Phosphorous are found in Coffee Rich. Please see below for details. 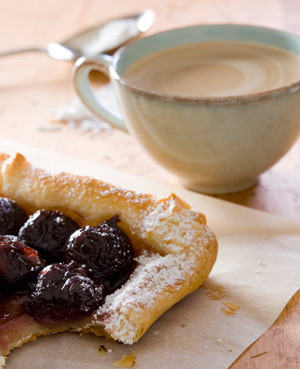 Q: How can I substitute Coffee Rich for other products in my recipes? 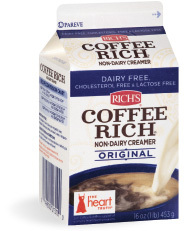 To find Coffee Rich® or Rich Whip® at a retailer near you, enter your zip code below. Product: Select a Product Coffee Rich, Regular 16 oz. Coffee Rich, Regular 32 oz. 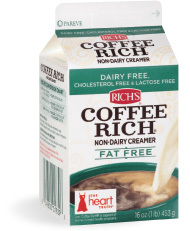 Coffee Rich, Fat-Free 16 oz. Rich Whip, Liquid 8 oz. Rich Whip, Lite 8 oz. Rich Whip, Regular 8 oz. Rich Whip, Regular 16 oz. © 2019 Rich Products, Co. All Rights Reserved.